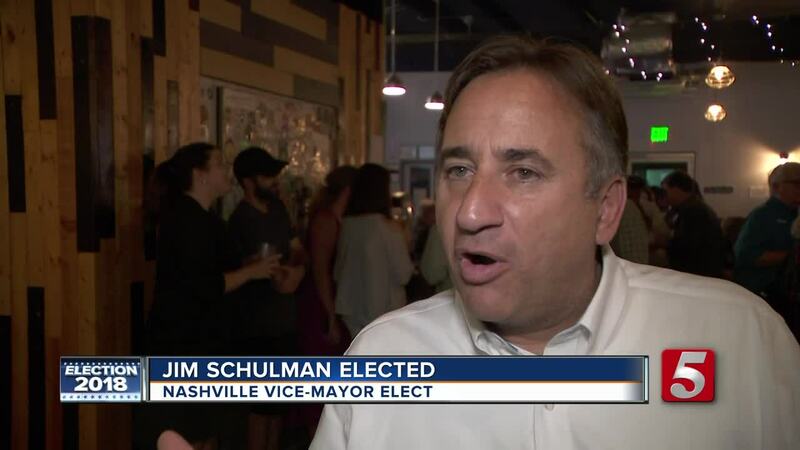 Jim Shulman was elected Vice Mayor of Nashville in Thursday's runoff election against Sheri Weiner. Weiner conceded to Shulman who took away a total of 19,585 votes to her 10,361 votes. She released the following statement on her Facebook, congratulating him. "First, congratulations to our new vice mayor, Jim Shulman for Vice Mayor. Jim and I have worked closely over our time on the Council and I look forward to supporting him as he leads our body through the coming year. I’d like to extend my sincere thanks to my family, friends, colleagues, and each person who supported me, whether by making phone calls, sending postcards, urging their friends to vote, or offering a kind word over a challenging campaign. The difficulty of being misrepresented has been offset in many ways by the incredible support of true friends. With another election behind us, we now have stable leadership in Metro for the coming year and can focus solely on doing the work we’re charged with doing - keeping Nashville the greatest city in the world to live and work, to raise a family or retire, to play and grow. Let’s get back to work." "My hearty congratulations to newly elected Vice Mayor Jim Shulman. I look forward to continuing to work with you in your new role for the betterment of the city." 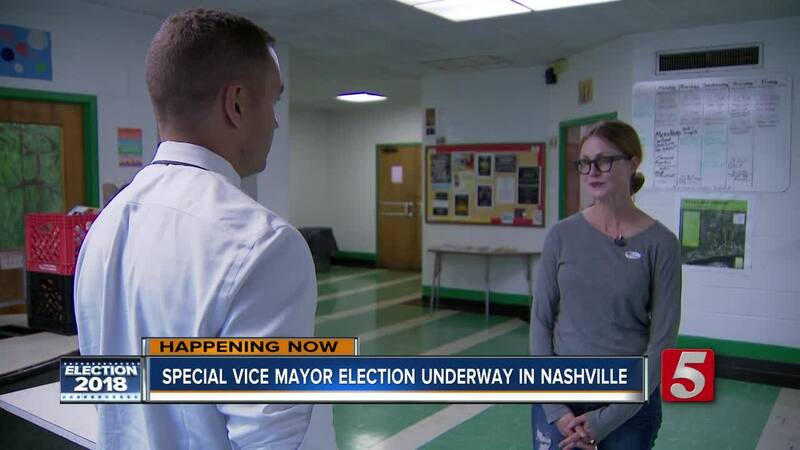 In March, Weiner was sworn in as acting vice mayor when David Briley took over as mayor upon Megan Barry's resignation. 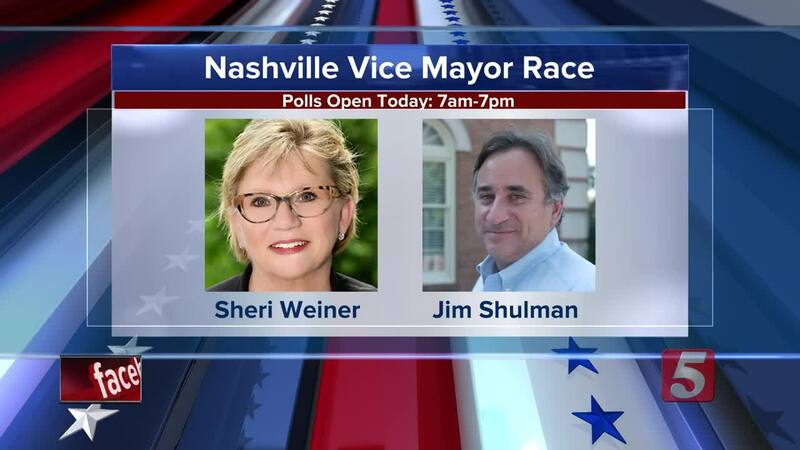 Neither Weiner nor Jim Shulman earned enough of the vote on election day to win the race. Shulman earned 42 percent, while Weiner had 46 percent. Thursday's election was the fifth one this year in Davidson County. This special election could cost up to $750,000. However, Davidson County Administrator of Elections Jeff Roberts said the election commission managed to save an estimated $200,000 from the initial cost. They won't know until after the election, but the actual cost will likely be around $550,000. "We should be below that because of the numbers that we saw voting in early voting," said Roberts. "We backed off the number of poll officials that we needed so that will have a real impact on what we will spend." 160 polling places were opened for the election. After this election, voters will be back in the polls as early as October 17 for the November governor's race. Roberts says it's likely that election will have a number of votes for Davidson County residents to take.